All ages, All standards, All welcome! A big thank you to everyone who turned out to either race, marshal or just enjoy our final League race. The riders didn’t disappoint, with some great racing right from the start as both leagues were still wide open with several riders in contention for top spot. 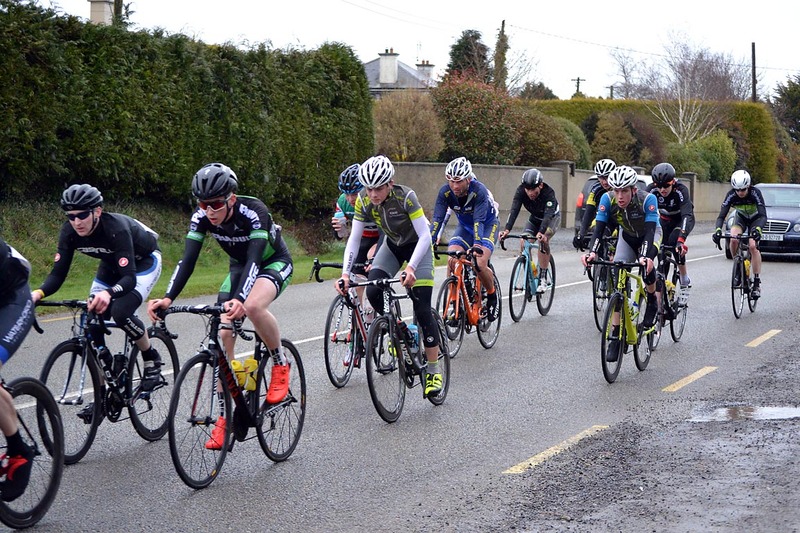 The A4 league was tied going into the final round GoreyCC’s Brendan Dunne and Rossbury Racing‘s Jim Wall both knowing that only a win on the night was going to guarantee the title. 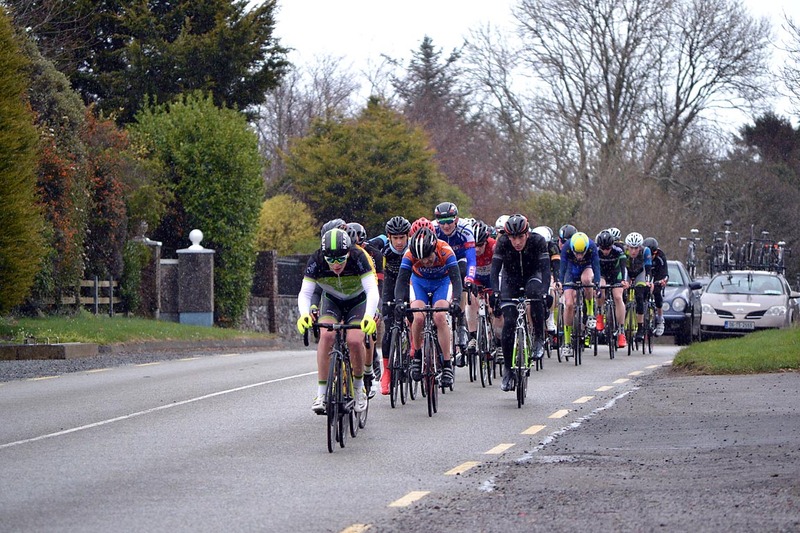 But South East Road Club‘s Wayne Byrne had other ideas and stayed away from an earlier break for a great solo win, which left a sprint finish battle for 2nd and Brendan just edging out Jim on the line! The A1/2/3 league title decider was shaping up to be a lively affair with only 3 points separating the top 7 riders and a two man attack right from the start confirmed we were in for some thrilling racing. They were quickly reeled back in however by the high tempo of the chasing bunch. Another 3 man break developed later in the race and managed to open a sizable gap back to the bunch, with Rossbury’s Martin Mizgajski, Slipstream Cycling Club‘s Declan Kinch and Slaney Cycling Club‘s Reece Young battling for the win. A photo finish confirmed it was Matin however who literally “inched” out Reece on the line, with Declan taking 3rd. A big thank you to our sponsors, without whom there would be no league. To all the marshals over the 5 weeks who kept everyone safe, especially the lead car drivers and moto riders Pat and Gary of Slipstream and Gordon and Shane on the motos. To the clubs and riders for not disappointing and keeping us all well entertained with some great racing. To Derek Webb for all his organisational skills and tireless work behind the scenes. 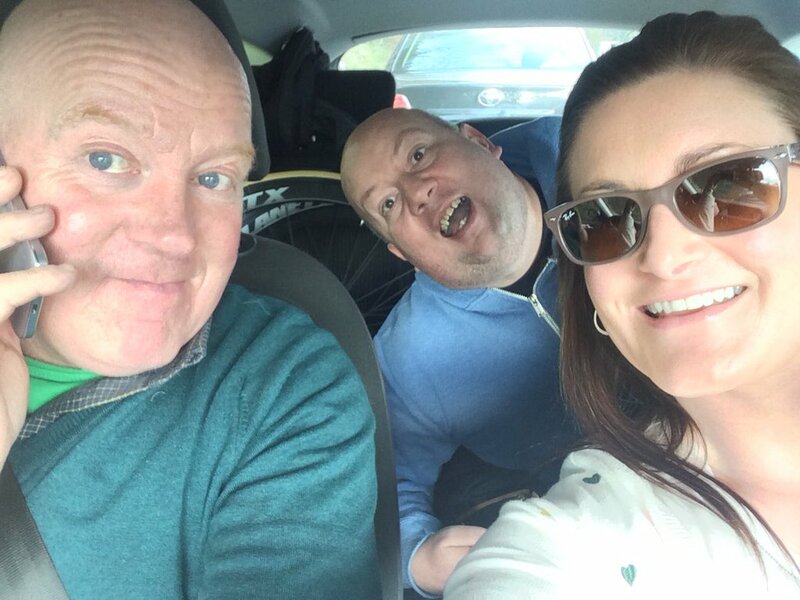 To Chef Nicola Redmond for the post race BBQ and thanks as ever to Sean Rowe for his fantastic pics which you can see more of in the link below. 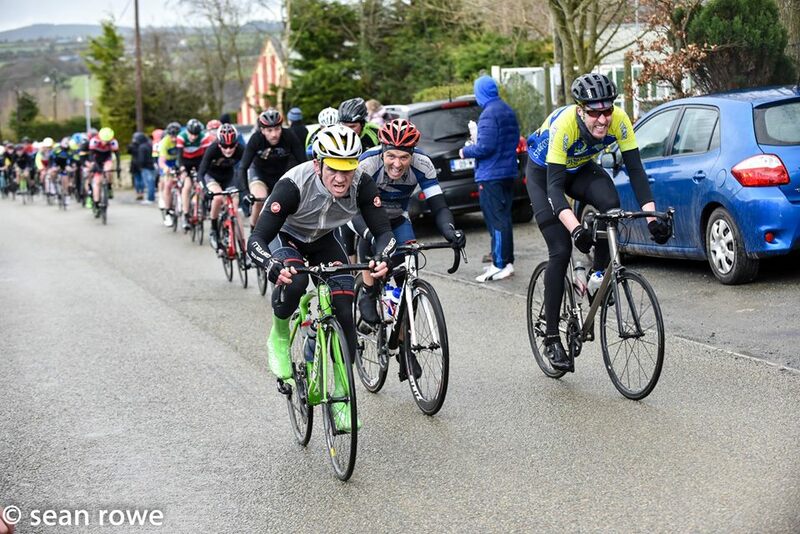 A fantastic result for GoreyCC’s Brendan Dunne at the Barrow Wheelers GP on Sunday May 22nd. Brendan took second place in the A4 race among a very strong field. Also racing were Joe Christian and Darren Davitt, both finishing comfortably in the bunch. Well done lads! 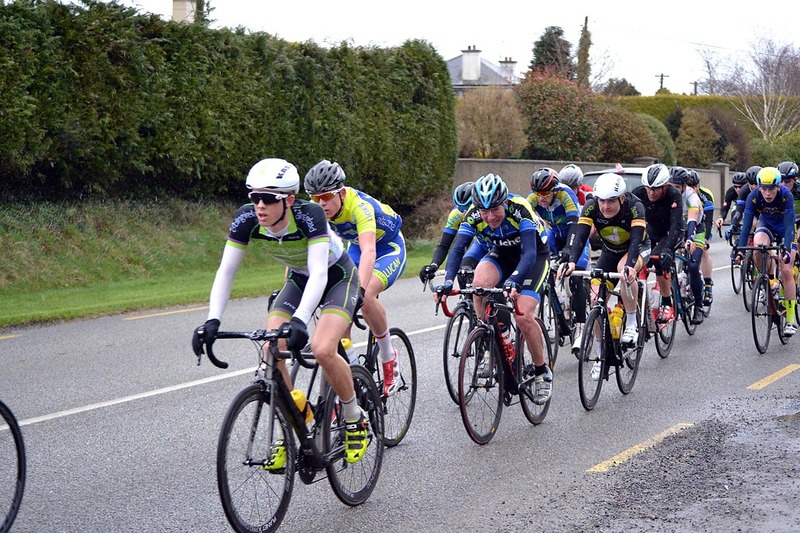 Congratulations to GoreyCC’s Cathal Glackin on topping the final league table in Slaney Cycling Club‘s A4 league. Cathal took 6th place in Wednesday’s finale adding a further 3pts to his total to cement the win. A great result also for Gorey’s Frank O’Brien on the night, racing in the O’50 category. The group held a consistent time gap back to A4’s all the way to the finish, with Frank eventually taking 2nd place. 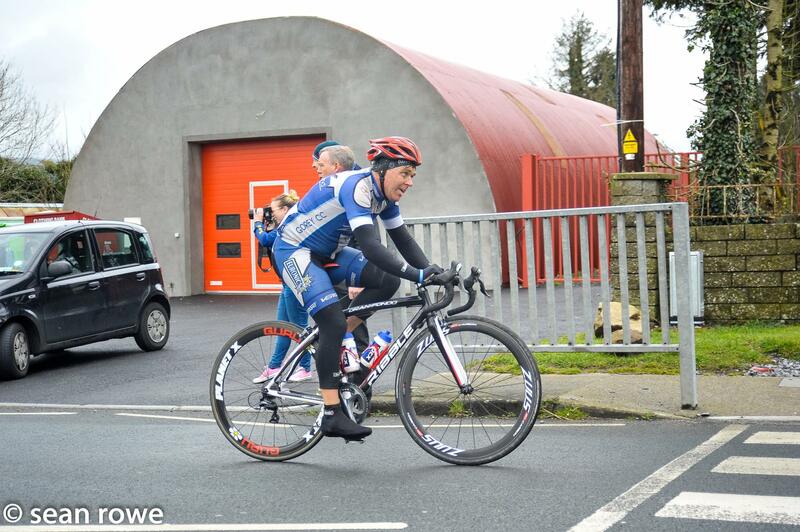 A special mention also to Gorey’s Susie Carroll Christian on taking the spoils in the ladies category in her first competitive outing. Thanks to all in SlaneyCC and the marshals over the 5 weeks for a well run and exciting league and to Sean Rowe for the great photos. Congratulations to Paul Kinch of Slipstream and Jim Wall of Rossbury on their wins in Race 3 of GoreyCC’s League. There was a great turnout of riders and spectators and the route proved very popular with the racers, despite a couple of testing kicks. Well done to all who took part and a big thanks to the marshals and drivers for keeping everyone safe. Click on Sean Rowe’s Facebook photo gallery below for lots of pics from the race. Thanks to everyone who helped out at our 2nd league race on Thursday night, it was definitely a bit warmer than the previous week! It was a testing, but enjoyable fast course, with 4 ascents of Kilmurray hill to stretch the legs. 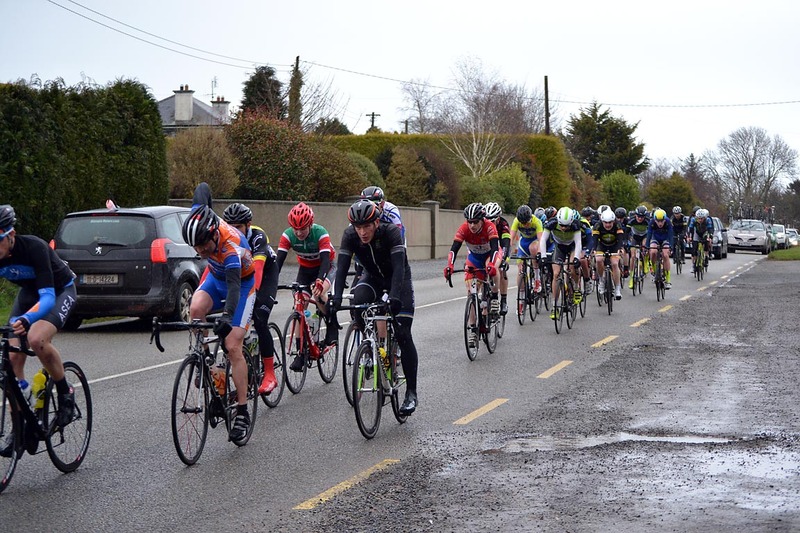 A split developed early in the A1/2/3 race with Gorey’s Joe Christian among the leading group and Davy Walsh of Velo Revolution eventually took the win in the final sprint. 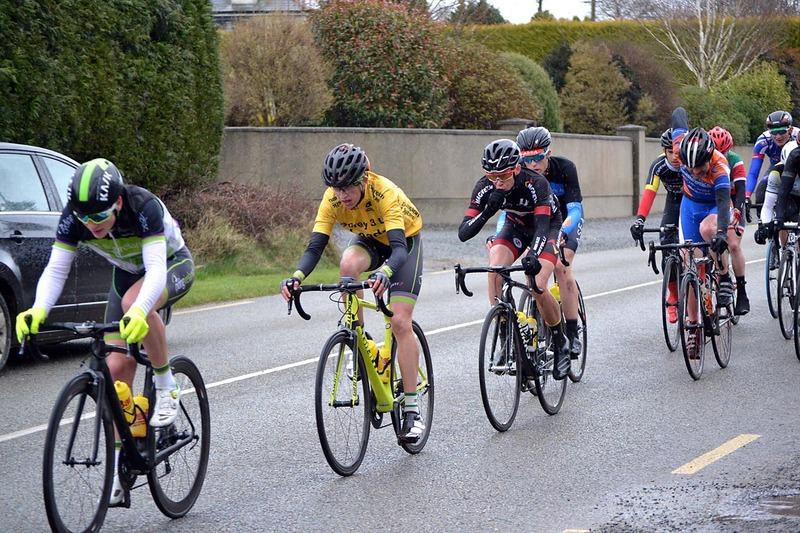 The A4 group stayed together a bit longer, but a 2 man break eventually got some distance into the rest with GoreyCC’s Brendan Dunne winning out to Jim Wall of Rossbury on the final pull up to the finish. Well Done all! 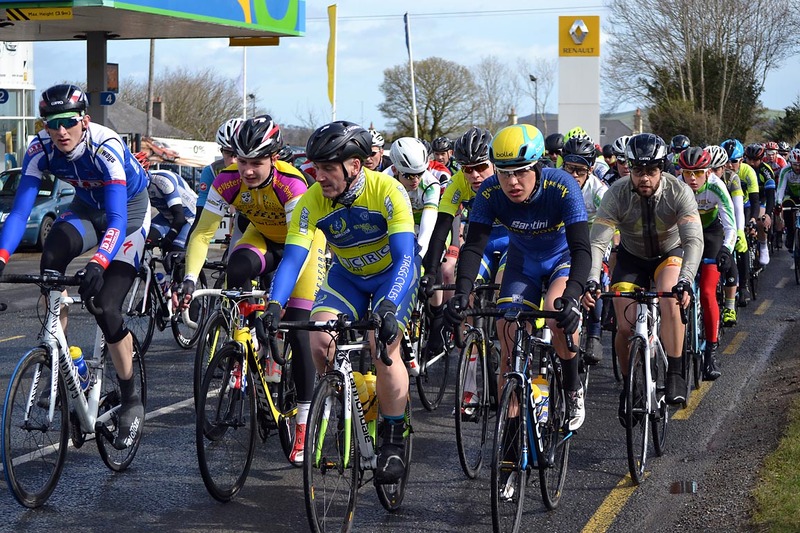 A very strong performance from the GoreyCC lads at the Frank O’Rourke Memorial race in Wexford on Sunday, May 1st in testing conditions. Brendan, coming from his win in the GoreyCC league on Thursday, finished 7th in the A4 race. 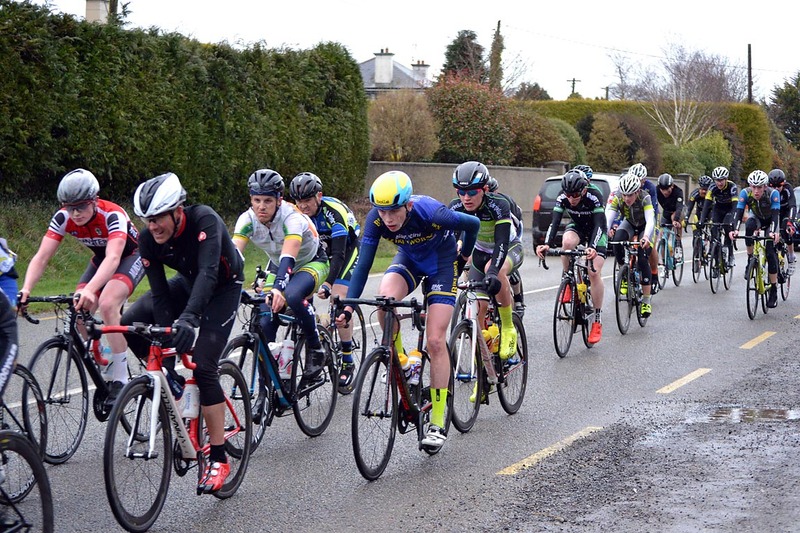 Darren contested the bunch sprint in the A3 race, 3rd rider of the bunch over the line and finishing 11th over all. Well done lads! 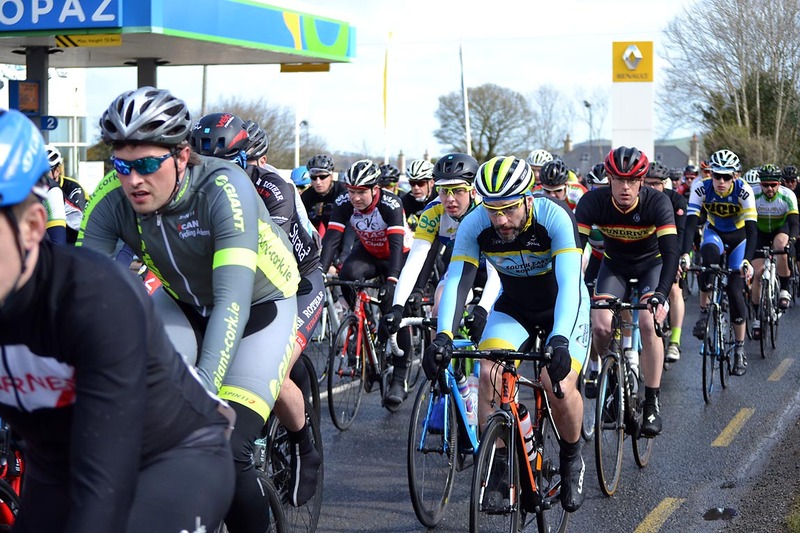 Big thanks to everyone that made GoreyCC’s first hosted race on Thursday a great success, despite the bitterly cold conditions. 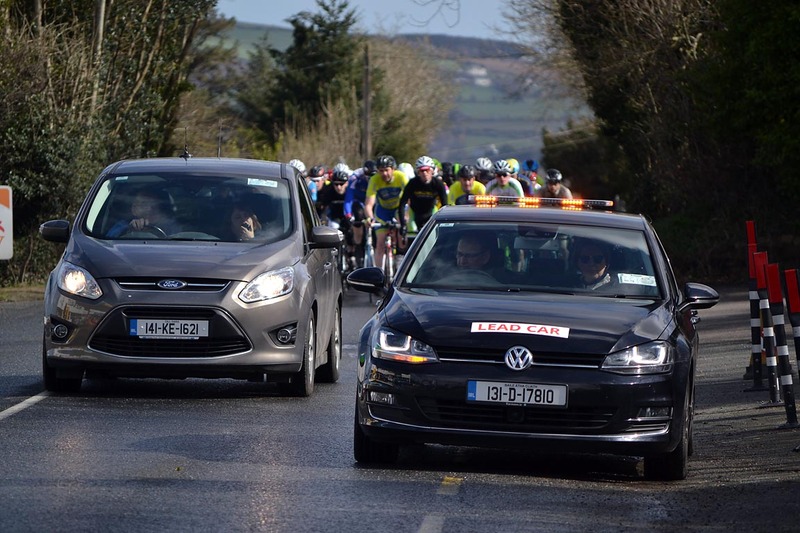 The A4’s went off first for 30mins plus an extra 2 laps of the 1.4km circuit, with Gorey’s Brendan and Cathal off the front for much of the race. Brendan however pulled well clear for the win. 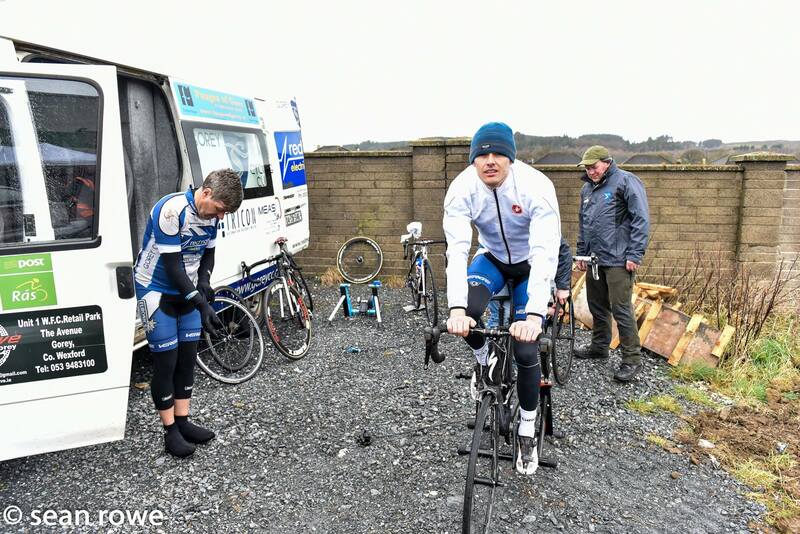 The A1/2/3 lads were keen to get going next for their 30min race, to get warm if nothing else. A 3 man break developed early and stayed away until the finish with Sean Moore of Barrow pulling clear on the final stretch for the win. A special thanks to all the crew, drivers, moto riders and the marshals who stood out in the icy cold for well over an hour. The spectators and residents who came out of their cosy homes to see some great racing. And to Derek Webb for all the organisation, which made our job on the night pretty easy! 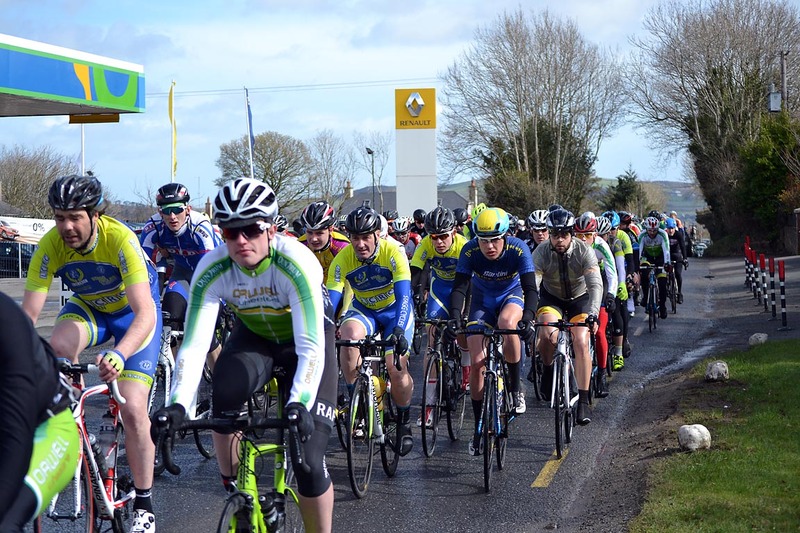 Saturday saw an extremely tough stage1 at the Gorey 3Day for all riders as they battled some nasty weather right from the start. A very early crash caught out Darren and he did well to get back on and make it to the finish. 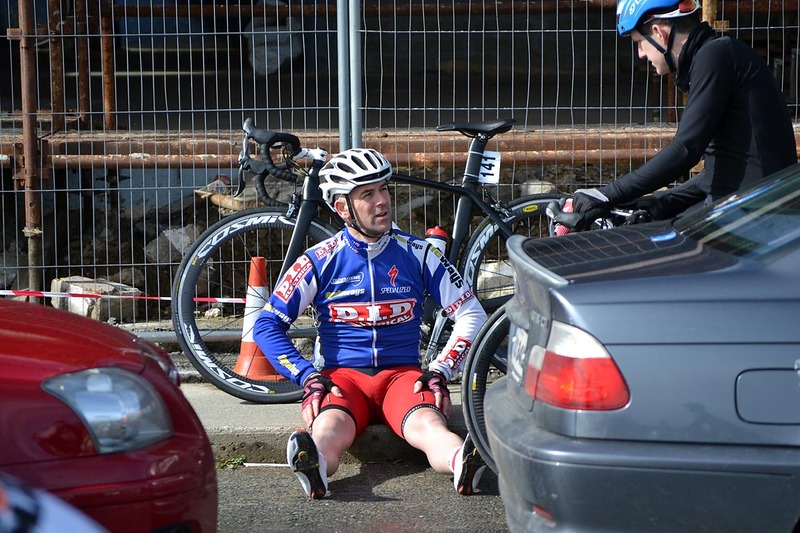 John was also unlucky to puncture and battled his way back up through the cars to the bunch. 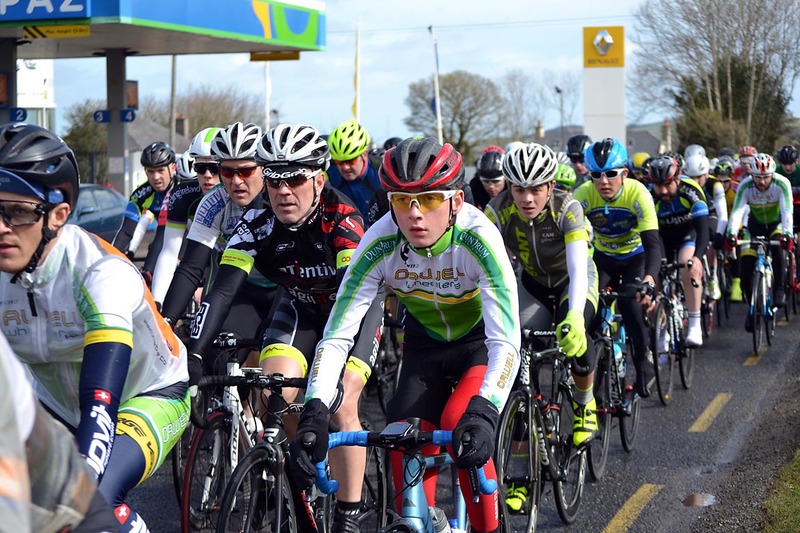 The stage was won in Craanford by Robert O’Leary of the Irish Junior team. 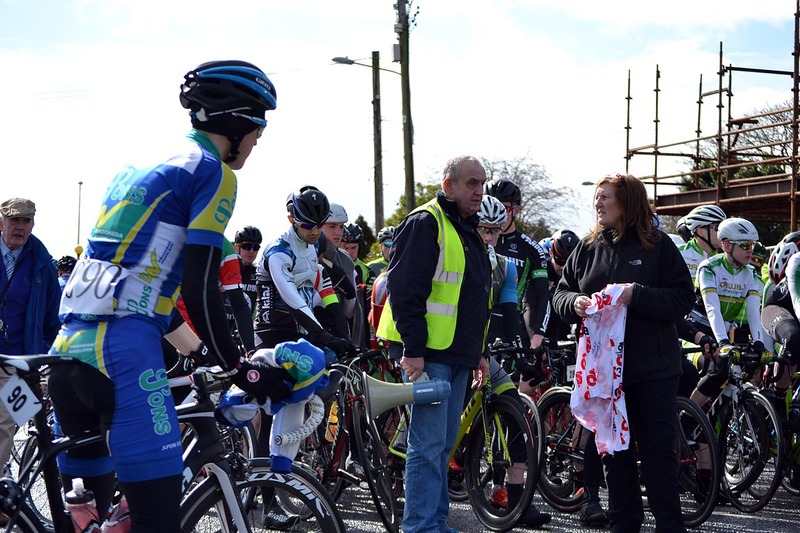 Stage2 on Sunday was an extended 5 lap circuit from Gorey – Craanford – Camolin as there was no Time Trial stage this year. 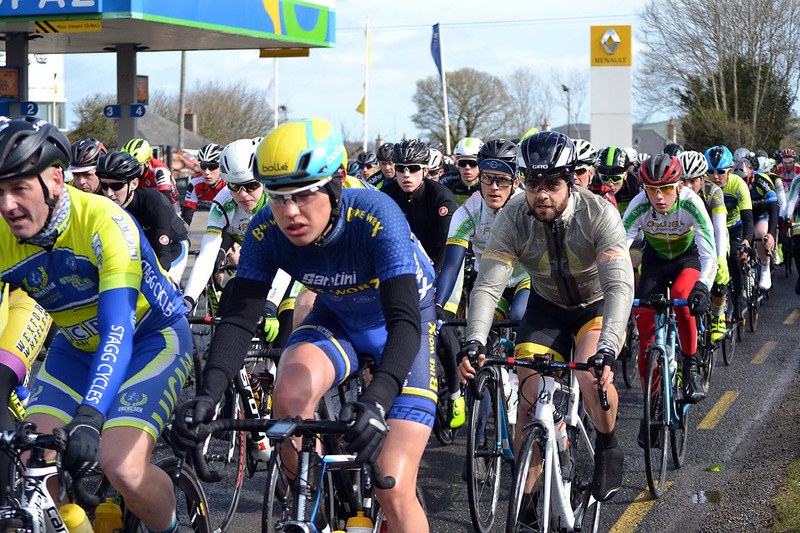 It was a reduced field as the previous day’s early crash and tough conditions had taken their toll on several riders, including our own Darren Davitt, leaving John Whyte the sole GoreyCC participant. Michael Devins of Barrow Wheelers prevailed in the sprint to the line, with no major changes at the top of the general classification. 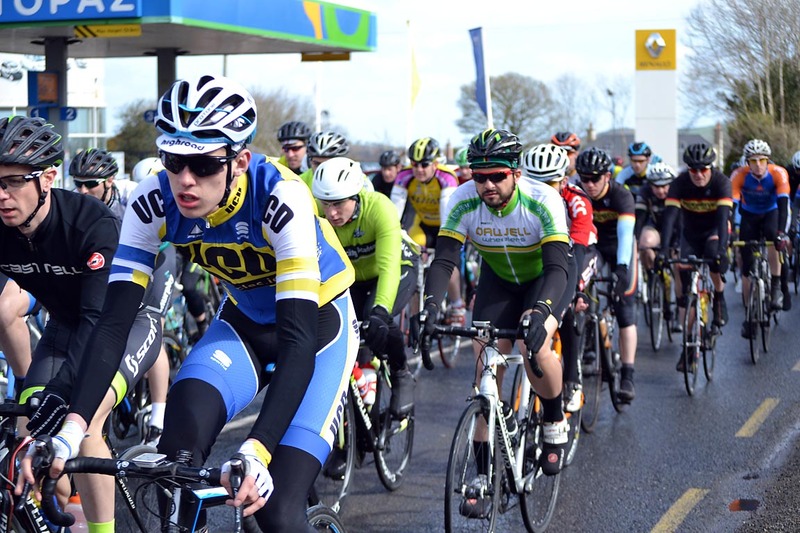 Robert O’Leary of the Irish Junior Team still held onto the yellow jersey. 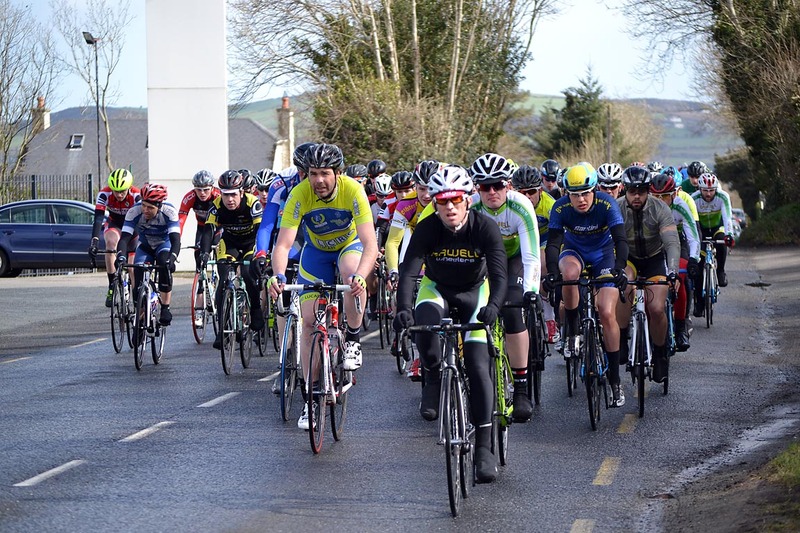 It was set up for a thrilling bunch sprint to round off an exciting final stage of the Gorey 3Day on the run in to Blessington. 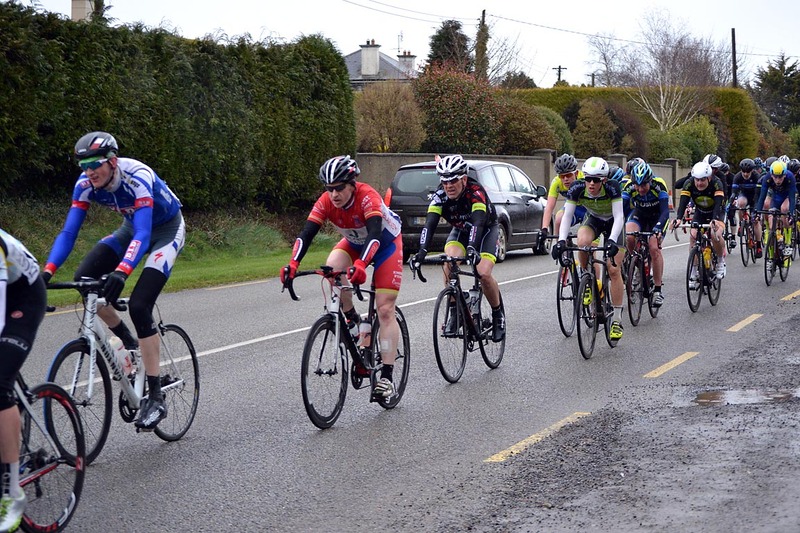 However Junior Eoghan McLoughlin of Westport Covey, in a late attack off the front, took the spoils with 2″ to the rest of the field. Veteran Andrew O’Hara, who also spent a lot of stage 2 in a solo break, drove a couple of the day’s breaks at a fierce pace. At one point he was GC leader on the road and was a real threat to Ireland Junior Robert O’Leary who wore the yellow jersey all weekend. 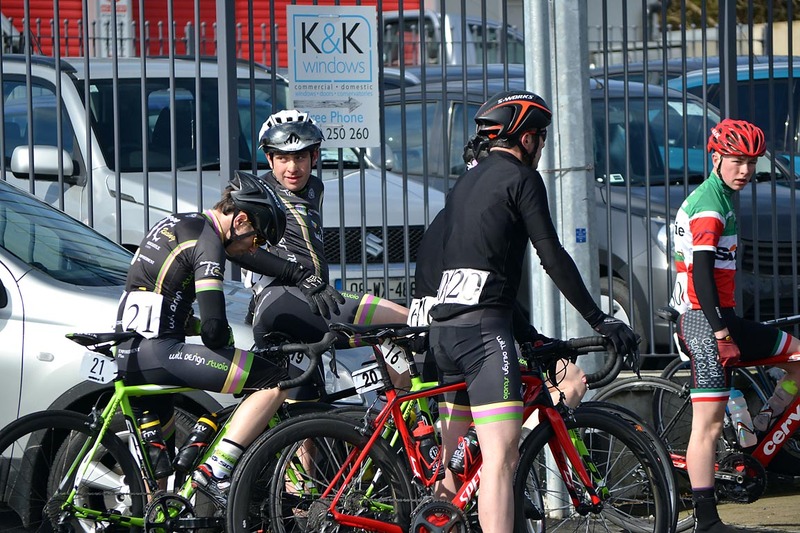 The Ireland Junior team had to work hard chasing down the breaks all the way to the finish to guarantee their team-mate overall victory. 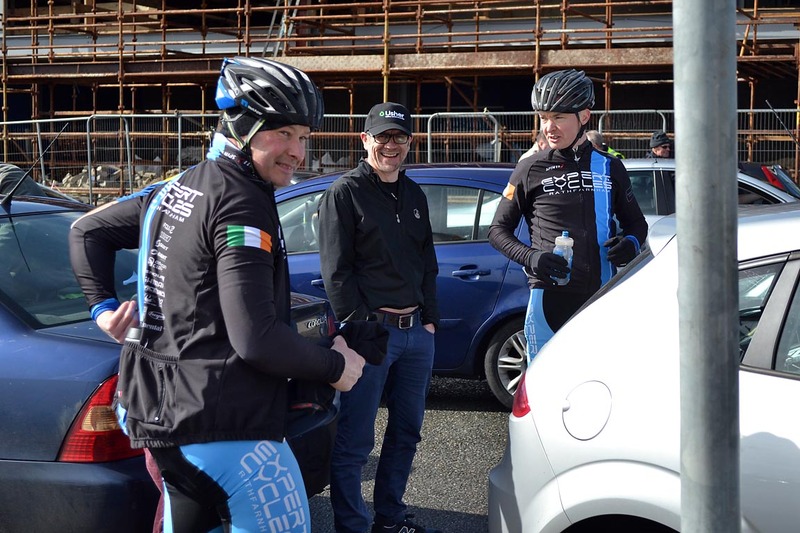 John Whyte, finished the stage in 17th place 02″ down on the winner and placed 58th in the overall GC. 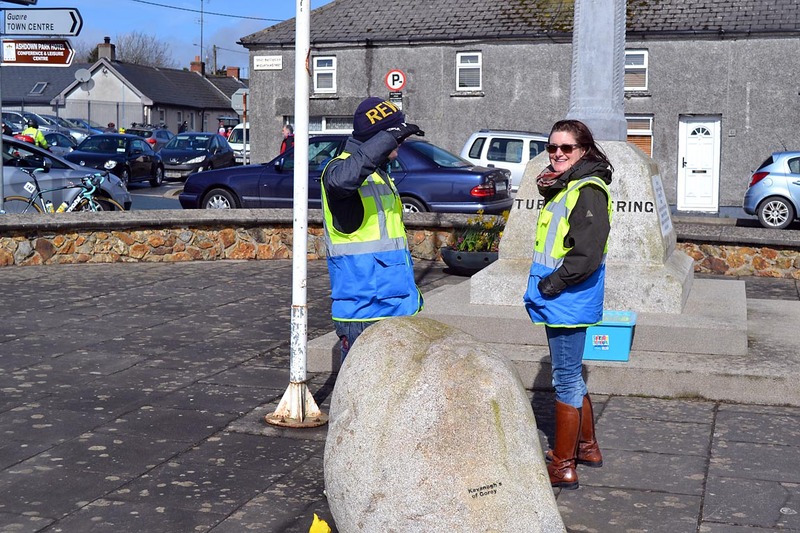 The team want to thank the crew, all the support personnel, race organisers and road marshals who make the 3Day one of the best events on the Irish calendar. 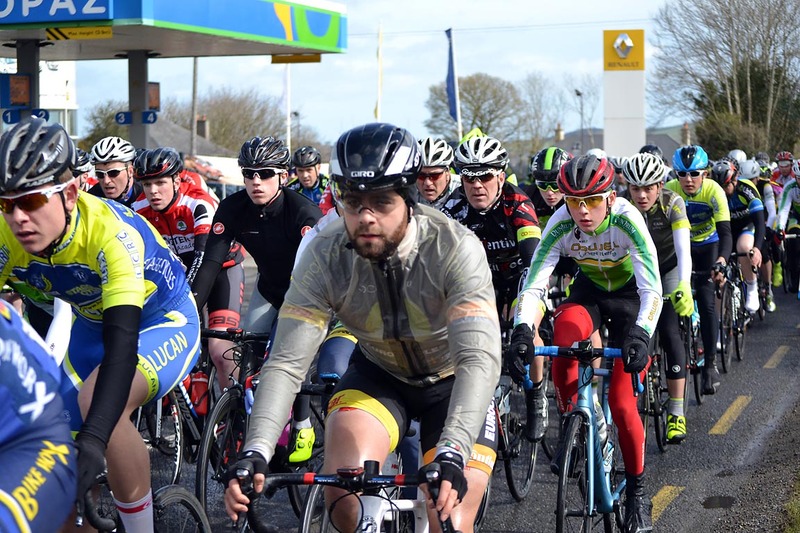 While we had a good contingent competing in Carlow at the Des Hanlon Memorial on Sunday last, GoreyCC’s Joe Christian (pictured in background) travelled all the way to Blarney for his race. A tough, fast race saw Joe finish just outside the top placings. 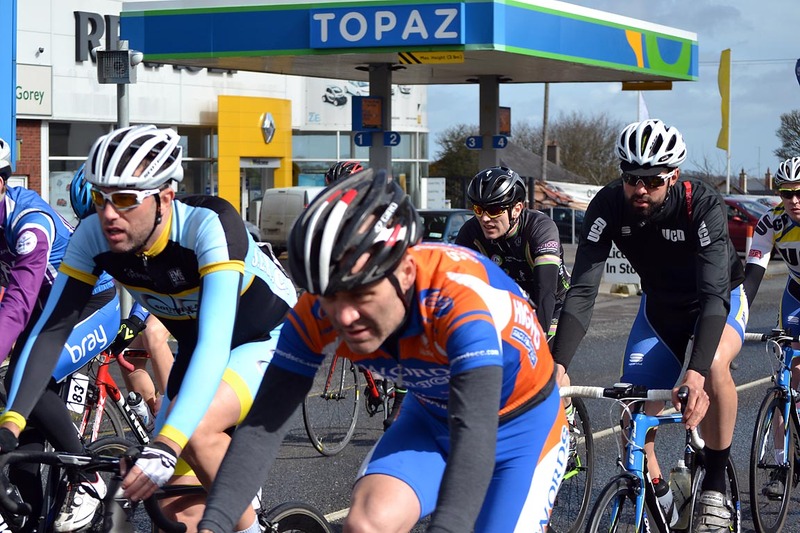 In Carlow, John and Darren were looking to get in some good race miles before the upcoming Gorey 3Day. Darren did well to get back on to the second group over the line after being brought down on the final climb, while John finished ahead in the main bunch. Well done also to Brendan who competed in the A4 event. Copyright © 2019 Gorey Cycling Club. Website by GCC.